The Revenant’s 12 Oscar nominations were not a surprise. After all, this is the work of Alejandro González Iñárritu, our reigning Best Director and the writer-director of last year’s Best Picture; Leonardo DiCaprio, one of our most famous and marketable living actors; and Emmanuel “Chivo” Lubezki, the director of photography who could three-peat with a win this year for Cinematography. No, that all makes sense. What’s surprising is a different number: $365 million, the amount The Revenant has earned worldwide as of February 19, making it the 20th highest-grossing movie of 2015. That’s $365 million and counting for the 150-minute-long film in which Leo drags his broken body across the American wilderness, featuring long stretches of little to no dialogue and an unconventional, highly aestheticized visual style. And unless you consider a ten-year-old novel about a fur trapper from the 1820s hot IP, this is a story without an existing fanbase, cementing it as an aberration in the comic-book-based annals of modern Hollywood. The Avengers it is not. That the movie achieved a lofty gross has been all the more unexpected considering its fraught production. Before The Revenant hit theaters, the trades painted it as a disaster, a runaway train that had cost as much as $165 million before tax rebates, most of which was being covered by producer Arnon Milchan’s New Regency. That wasn’t just going to be a hard mark to hit for a prestige picture in a Marvel world — it was going to be a train wreck. A box-office bear-mauling. Weston worked on the film from the start, and he stressed that New Regency always thought it could do the kind of business it ended up doing — this wasn’t some act of artistic patronage, a nine-figure Guggenheim grant. But his optimism belies the severity of the reports coming from the set. The Hollywood Reporter ran a long story describing it as an overbudgeted “living hell,” citing huge turnover among the crew, a producer barred from the set, an obsessive artist waiting for exactly the right light, and weather conditions that were both too severe (extreme cold) and not severe enough (no snow). According to New Regency, those reports are exaggerated — says Weston, “We talked with Alejandro every single day about every single thing. Nothing was done casually or easily, but we supported every single thing he did, because he was right” — but there’s also proof in the pudding: New Regency’s commitment to the project, and to its well-pedigreed, Oscar-validated filmmakers, resulted in a film that has received near-unanimous critical praise. All of a sudden, the advance fervor — Tom Hardy fought Iñárritu! DiCaprio got hypothermia! No snow! — became tools for building buzz: Hardy and Iñárritu tussled playfully, and they made T-shirts to commemorate it; DiCaprio went to amazing lengths to get that Oscar; climate change is real, and it affected The Revenant. But as much as New Regency’s producers like to invoke the movie’s relatable themes, what with Leo being a heartbroken (albeit vengeful) family man and such, we still weren’t dealing with a lively Melissa McCarthy comedy here. Without an immediately identifiable franchise or easily marketed concept, The Revenant hardly screamed “hit.” Fox’s pre-release projections pegged the movie at $20–24 million for its opening weekend, certainly not the kinds of numbers you want to see for a movie with this budget. Instead, it had to make its way on the strength of its other qualities. The first, and best, of these was Leonardo DiCaprio. While the artists involved were collectively a marketable, appealingly multicultural group, from Iñárritu and Chivo through Tom Hardy, Domhnall Gleeson, and young up-and-comer Will Poulter, it’s DiCaprio who gave Fox and New Regency a recognizable, flea-bearded face to hang the movie on. According to comScore’s PostTrak survey, which polls moviegoers exiting the film in 20 markets nationwide, the actor in the lead role was the No. 1 reason why viewers decided to see The Revenant — which, said Paul Dergarabedian, a senior media analyst at comScore, is incredibly rare for a film of this size. Even the megahit Jurassic World, with Chris Pratt in the lead role, was seen more because of its franchise connections than its star. And overseas, a figure like DiCaprio can go a long way toward selling a film like The Revenant. 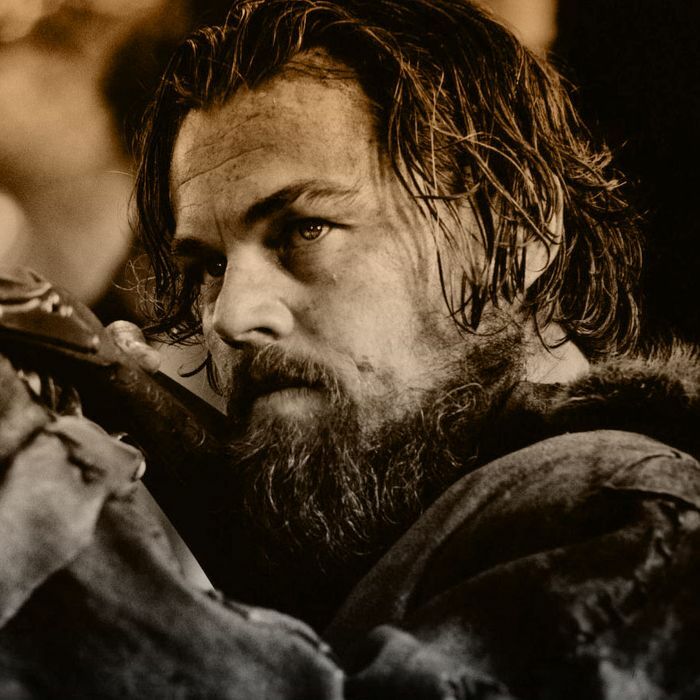 According to Weston, DiCaprio has done four or five international trips to help promote the movie, which made a big impression on overseas markets, particularly for audiences that might not jump out of their seats at the idea of a frontier drama set in the antebellum American West, spectacle or not. Leo’s support was also one of the major factors that gave Fox the reassurance it needed in distributing the film. Fox’s executive vice-president of domestic distribution, Chris Aronson, told me that because of the studio’s confidence in The Revenant’s quality, they were able to take the riskier release approach of going limited for a couple weeks and building buzz among critics and sophisticated audiences in New York and L.A., while at the same time promoting the movie toward a nationwide release. This strategy came with the assumption that moviegoers would be interested in an ambitious and unique blockbuster-type option this winter, one that Aronson emphasized was at “the intersection of art and commerce.” That strategy, which yielded great dividends for American Sniper in 2014, paid off again with The Revenant: By the time it went wide, the anticipation was palpable. Audience data supports that perspective. Once viewers were in the theater, they tended to recommend the movie to others. Its B+ Cinemascore is impressive for a film of this artistic ambition, and comScore’s survey revealed that 76 percent of audience members said they had at least five friends or family members who would be interested in seeing The Revenant in theaters, and 93 percent would “probably” or “definitely” recommend it to their friends. The combined weight of that response suggests that word of mouth played far more like it would for a blockbuster than your typical Oscar movie. And, of course, once the movie became a bona fide Academy Awards contender, word of mouth and casual interest was only going to increase. When it comes to the film’s Hollywood influence, Revenant producer Mary Parent, who joined the production after the other producer was barred, and whose credits include high-concept blockbusters like Godzilla, Pacific Rim, and Noah, is willing to go even further. “The success of The Revenant is really good for filmmaking,” she says. “Because it’s so ambitious — and it’s so, so, so, so ambitious — that it had to hit a bull’s-eye. That can be daunting when you’re going to green-light a movie. There are no sequels to this movie, there’s no merchandising. There’s nothing to fall back on. So the fact that this film has taken off is great. Now it’s something people can point to, because studios do want to make ambitious films.” And if a massive star like Leonardo DiCaprio is willing to risk indigestion acting in those films, all the better.